Informational text for grades 2-6, open nominations, committee selected, student voted. 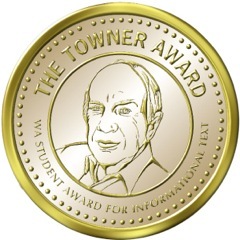 The Towner Award is named after Bill Towner, longtime Seattle librarian and mentor to dozens of librarians. Bill was an outstanding teacher-librarian who worked with thousands of students from all backgrounds and taught all of them his love of literature. Bill showed us how caring teachers and librarians can make a difference. Chapter books for grades 4-6, open nominations, committee selected, student voted. Twelve great books are nominees. But only one will win. Fourth, fifth, and sixth graders can participate in the voting process by reading at least two of the nominees. Picture book award for grades K-3, open nominations, committee selected, student voted. 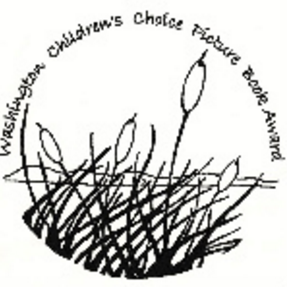 The Washington Children’s Choice Picture Book Award was started in 1982. All Washington state students in public and private schools, from kindergarten through third grade in Washington State are welcome to vote. Students hear all 20 nominated picture books, read by their library teacher and/or classroom teacher and participate in literature activities for each book. For transitional readers in grades 1-3, open nominations, committee selected, student voted. The idea for this award was born at nErDCamp Bellingham in February of 2015. 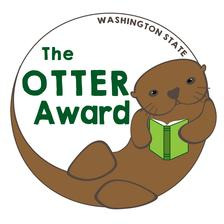 The original OTTER co-chairs, Arika Dickens and Monica Hodges, met at the free book table and started chatting about the need for a good list of new transitional chapter books with maybe an award, like the Sasquatch Award, but for younger students. They exchanged Twitter information, piloted the program in their own districts, and applied for the award through WLMA (now the School Library Division).